REEEC congratulates the Academic Year 2017-18 FLAS fellows, who will be studying the languages below in order to enhance the knowledge of their respective disciplines, which range from literature to advertising. Their language study will also help them engage in a vast array of area studies courses in disciplines ranging from history to international law. Thanks to a generous REEEC grant, I spent last June and July studying Russian in Odessa, Ukraine. I shared an apartment with my friends Nadia and Tyler, UIUC Slavic Ph.D. students. We all took intensive Russian classes at the Odessa Language Study Centre. Nadia and Tyler took individual courses, while I decided to take a group class, which I would describe as a mixed bag. On one hand, my language instructor Olga was incredible – like the other teachers at OLSC, she had many years of experience teaching Russian to international students in Odessa. She also had a great sense of humor (sample Olga-ism: “My conscience is clean, I never use it”) and a keen interest in delineating cultural differences and similarities, sharing her perception of the local worldview (e.g. “U nas net feminizma,” “We don’t have feminism [here]”) and opinions on pressing social issues like political corruption (including a memorable anecdote about the “musornaia [garbage] mafia” chasing one of her students out of town for proposing the establishment of a municipal recycling system). On the other hand, a group class entails accommodating students of varying levels – as a result, the first few weeks of class were a bit too rudimentary for me. Private instruction is more expensive, but in retrospect, I should have opted for one-on-one lessons. That being said, I still got a lot out of my classes with Olga, and I highly recommend OLSC to anyone who wants to study Russian in Odessa. Odessa is a predominantly Russian-speaking city; culturally, it’s also quite “Russian,” a testament to its history as part of the Russian Empire and Soviet Union. Around 2500 years ago, current-day Odessa was a Greek colony; later, it was part of the Crimean Khanate, the Grand Duchy of Lithuania, and the Ottoman Empire. Following the Russo-Turkish War of 1787-1792, the city of Odessa was founded in 1794 by Catherine the Great’s decree. Although originally valued for its strategic significance as a warm-water port on the Black Sea, Odessa quickly became one of the largest cities in the Russian Empire. Due in part to its port-city status, it also become an exceptionally diverse cultural center, fostering a vibrant, cosmopolitan atmosphere that persists to this day. As places to spend the summer go, Odessa is hard to beat. Our apartment was a five-minute walk from Lanzheron Beach, apparently one of the nicer beaches in the area – “apparently” because once we found “our” beach, we went back to the same spot at least once or twice a week without much further exploration. Lanzheron Beach has a cute boardwalk with several restaurants and beachside cafes (we were regulars at Prichal No. 1). In general, downtown Odessa is filled with great bars and restaurants – some of my favorites were Dacha (a restaurant in a gorgeous 19th-century country estate), Kompot (traditional Ukrainian cuisine, kitschy Soviet décor), and Dzhondzholi (delicious Georgian food). Odessites are also very proud of their stunning opera house (where we saw a nice production of Carmen), and the lovely Palais-Royal Garden is right around the corner. For night owls and party animals, Odessa’s “Arkadia” region is also worth checking out – it has several huge clubs with pool complexes and regular concerts and DJs. Among Slavists, Odessa is known for its role in literary and film history. In 1823, Pushkin wrote several chapters of his verse novel Eugene Onegin when he lived in the city during his “southern exile.” Gogol wrote the second volume of Dead Souls in Odessa from 1850-1851 (he famously burned the manuscript). Several notable Russian-language writers were native Odessites, including Ilf and Petrov, Yury Olesha, and Isaac Babel, whose “Odessa Tales” are set in the city. Odessa’s place in literary history is memorialized by statues all over town, as well as by the Odessa Pushkin Museum and the Soviet-era Literature Museum. Odessa was immortalized in a famous film sequence in Sergei Eisenstein’s “Battleship Potemkin” (1925). The city was an important filmmaking center before and during the Soviet era, and it hosts the wonderful Odessa International Film Festival every summer. Although downtown Odessa is beautiful and quite safe, there is a lot of poverty in surrounding areas. In addition to the general economic decline in Ukraine, Odessa formerly benefitted from an influx of Russian tourists every summer, which (for obvious reasons) has dried up since the annexation of Crimea and War in Donbass. However, there are ongoing efforts to revitalize Odessa as a tourist center, including (usually free) cultural events that take place all summer long. It’s also an extremely affordable place to live, even on a graduate student budget (the silver lining of the region’s economic woes, from a foreigner’s perspective). Most locals aren’t fluent in English, making life in Odessa a truly immersive language-learning experience – if you want to order food at a restaurant, you’ll have to work on your Russian. Overall, I found Odessa to be a fascinating and beautiful city. I’d particularly recommend it as a study abroad destination for language students, especially since there’s no need to get a student visa (by all accounts one of the more frustrating parts of studying in Russia). I’m certainly planning to go back as soon as possible. Matthew McWilliams is a REEES M.A. student and a FLAS Fellow for the 2016-2017 academic year for the study of Russian. 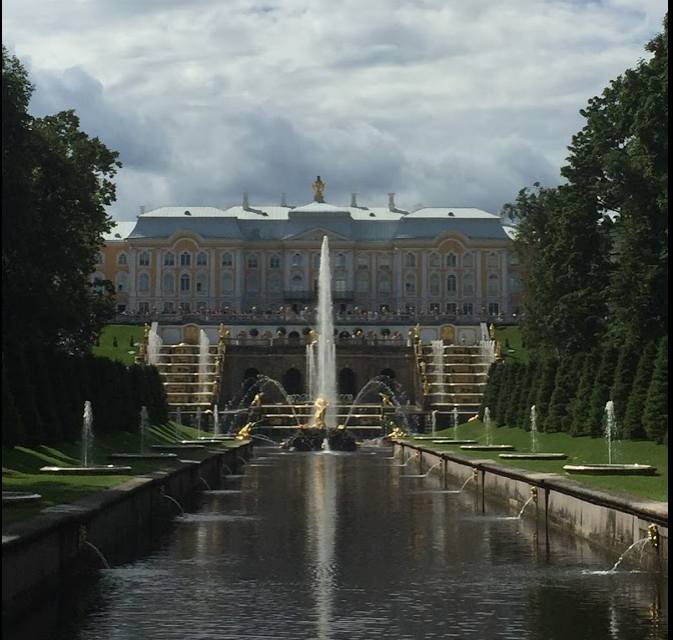 This past summer, I had the opportunity to study Russian abroad in St. Petersburg, Russia, thanks to the Foreign Language and Area Studies fellowship. I had been to St. Pete before in late winter of 2013 on a short homestay. Prior to leaving, I was ecstatic to experience a familiar city transformed by summer. I expected to have a tough immersive experience with Russian while also being able to soak up the culture first hand. Outside of classes, I spent my time in some of the most beautiful and interesting places I’ve ever been. The Summer Garden was my favorite place to sit and watch people. The first time I was in St. Pete, the garden was closed because it was winter. The Peter-Paul Fortress was where I spent most of my Saturday mornings. It was my favorite spot in the city in 2013, but it was even better with warmer weather. I experienced new places, such as Moscow, Peterhof, and some small villages and towns outside of the city. During my last week in St. Pete, I took a boat tour around the city, as it is made up of many canals. I watched the sunset over the fortress and, later that night, I watched the drawbridges rise over the Neva river. It was a necessary sight to see when you’re there over the summer. I learned a lot about myself, the Russian language, and the culture during my time in St. Pete. To some degree, I expected much of what I learned and experienced. Perhaps the most valuable learning moments I had on my study abroad trip were through experiencing Russia as a foreigner on an extended stay. Going into my study abroad, I expected to be treated like I was on my first trip: people weren’t reluctant to use English to help me out when I was struggling to communicate my thoughts; when presented with my documents, they were kind and even struck up a conversation about me being American. This summer, the kindness towards my being American was drastically lacking. I experienced hate for my nationality. While in a McDonald’s, I was yelled at to “get out of our country.” Experiencing blatant distaste due to where I call home was new for me. What I felt in these instances has been branded into my brain more so than anything else I learned while abroad. Everyone says that the study abroad experience changes your perspective on the world and can even be life-changing. This is true in more ways than I can explain. Sharadyn Ciota is an undergraduate double majoring in Russian, East European, and Eurasian Studies and Political Science at the University of Illinois. She was a Summer 2016 REEEC FLAS Fellow. (Re-posted from The Polyglot, Indiana University Bloomington’s IU Summer Language Workshop Alumni Newsletter). “In summer, you can!” This colloquial Estonian saying describes the energy one experiences during summer, that energy that drives people to the beach, to their friends and families, and to tackle life-long projects. This summer encouraged me to do just that; through the Indiana University Summer Language Workshop, I began to tackle a life-long goal of mine to learn the language and culture of Estonia, helping me to connect with family, and perhaps one day taking me to the beautiful beaches of Estonia. 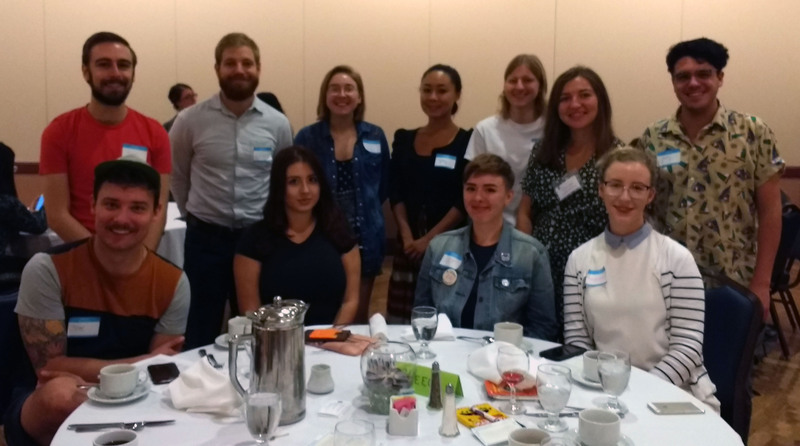 The IU Summer Language Workshop coupled with the Baltic Studies Summer Institute (BALSSI) provided many opportunities for focused study and for connecting with individuals, guaranteeing a strong start in language acquisition and securing multiple paths for continued studies. This summer course was organized such that students were truly immersed in a language-learning environment. The result was eight weeks of focused, meaningful study. Main components of the Workshop included interactive classes, coffee hours, films, and presentations by guest lecturers. The variety of programming helped me approach the language from multiple angles, and kept the language-learning process from stagnating. Classes encompassed the bulk of daily activities. BALSSI’s small class sizes allowed the class a great deal of freedom in pace and in specific materials covered. There were three students studying Estonian, myself included, each with distinct interests. Because of the flexibility of the program, opportunities for learning vocabulary relevant to our interests were plentiful. Coffee hours were wonderful ways of relaxing and practicing Estonian in a more casual environment – a valuable opportunity to continue to be immersed in the language after the morning courses. Outside-of-class activities, such as cooking demonstrations, were also enjoyable opportunities to learn the language and meaningfully engage with the target culture. BALSSI’s varied programming also included weekly Baltic film screenings, ranging from post-WWII to contemporary Estonian and Lithuanian films, and helped students connect with Baltic societies in unique ways. Each film offered a new perspective on relevant issues, and exposed students to regionally important political, historical, and current events and views. These films, combined with lecturers, opened students to new ideas, spurring new thoughts and questions. An important feature of this year’s program was a guest speaker who truly did combine the BALSSI film series with lectures. Liina-Ly Roos gave two presentations and consequently lead two discussions surrounding cinema in the Baltic region. Through the weekly BALSSI film screenings and discussing these as well as other films with Roos, students from Estonian, Lithuanian, and Russian courses came together to explore memory in the Baltic States, drawing from a range of sources reaching from haikus to contemporary music, stretching our imaginations to ponder time and even the existence of a unified “Baltic” identity. Discussing such matters as memory and time invited students to adopt a new mentality, a rich, culturally-minded addition to our goals of language acquisition. Issues of memory and time were further explored in the BALSSI talk titled “Baltic Modern: Art in Estonia, Latvia, and Lithuania,” this time through visual art such as painting, architecture and urban planning, graffiti, and photography, among others mediums. 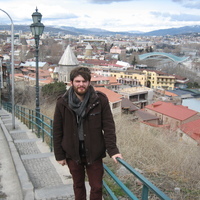 Bart Pushaw, a doctoral candidate at the University of Maryland and a BALSSI alum, presented on major Baltic art movements throughout an extraordinary range of time periods, connecting them with cultural and relevant political developments in the Baltic States and worldwide. Pushaw became an unexpectedly important connection for me personally, as we discussed the concepts of nationalism, impacts of music on visual art and vice versa, as well as the connections between these arts and ecology. Pushaw is now a wonderful reference and resource for me as a student of Baltic culture, as we have kept in contact, further discussing these themes. A topic that permeated all BALSSI films or lectures was the topic of politics, from the distant to recent past and to the present. Pushaw’s photographs of graffiti were quite direct in addressing the current political atmosphere, putting a humorous spin on the shared agendas of prominent political figures. Many conversations on the Estonian political climate as well as many relating to Estonian culture turned, if only briefly, to recent Soviet occupation, an interesting topic for many, and one with very relevant implications today. On this, and on the continuing topic of a “Baltic” identity, Indiana University’s Professor Toivo Raun spoke succinctly and purposefully, using concrete figures to compare countries, regions, and even cultural values. Despite these widely varying approaches to understanding Estonia, it is easy to identify common threads among Professor Raun’s, Pushaw’s, and Roos’s research interests. I cannot delve into each lecture relevant to the Estonian program, as there is an infinite number of intersecting disciplines. I have learned over this past summer that culture and even language itself are quite interdisciplinary subjects. For this reason, the Indiana University Summer Language Workshop’s and BALSSI’s use of formal classes, coffee hours, activities, films, and lectures were all necessary and useful ways of internalizing Estonian. Just as important as programming, however, were my peers. Through my classmates, I found myself connected with new fields of research, with new collections of experiences and interests. Each of my Estonian classmates had vastly different interests, and we used these to contribute to each other’s language-learning experiences. From one peer’s fascination with linguistics, I learned so much about various grammatical systems, which only furthered my understanding of the grammar of both my native tongue and Estonian. This has truly enhanced my skills in the art of communication. My other classmate is a wonderful storyteller, spinning tales that sparked in me a new wonderment of the people of Estonia. Perhaps above all, my peers and I studied with an open-minded and understanding professor, one who is passionate and curious, asking and answering questions with genuine care for her students. 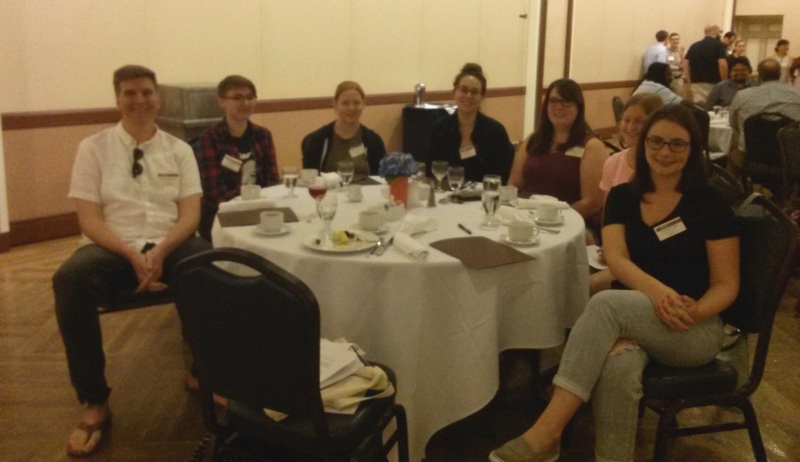 One unique aspect of the Indiana University Summer Language Workshop is the opportunity to create rich connections between individuals from diverse academic and cultural backgrounds as well as between important topics in social studies. The multiple cultural intersections that exist between most Workshop languages can be observed in the Workshop’s extracurricular program. Because we were situated among so many other language-learners, I believe that we were afforded a very unique opportunity to explore aspects of other languages offered in the summer program and could choose to learn about other cultures and how each of our languages of study fits into the histories of the others. Indeed, language is not a stagnant object but a living, changing organism. Language is every being’s means of interaction, and in today’s increasingly globalized society, it is becoming imperative to make the effort to understand other peoples. Reaching out to learn a language is reaching out to make a connection. The process stirs much questioning, perhaps decreases those things we take for granted, and opens us to new experiences. These beginning strides in learning the Estonian language have done just this, and the summer programming has assisted me in securing connections for continuing this beautiful study. Skylar Leili Lipman (Estonian level 1, 2016) is an undergraduate student at the University of Illinois pursuing dual degrees in Restoration Ecology and Bassoon Performance. Aside from her main studies (and spending quality time with her bird), she is very passionate about learning the Estonian language as a means of strengthening her ties to her heritage and as a means of connecting with family members still in Estonia. She is also engaged in intercultural work on campus and hope to continue this research far into the future, perhaps with Estonian as a driving force. To read more about Skylar’s experiences and thoughts, follow the link here. REEEC would like to recognize our AY 2016-2017 FLAS Fellows. Congratulations to all!